Dark Horse has announced that they will be expanding their Buffy the Vampire Slayer comic line with an original graphic novel series called Buffy: The High School Years. The first volume, Freaks & Geeks, will be written by Faith Erin Hicks (Friends With Boys, The Adventures of Superhero Girl) with art by Yishan Li. 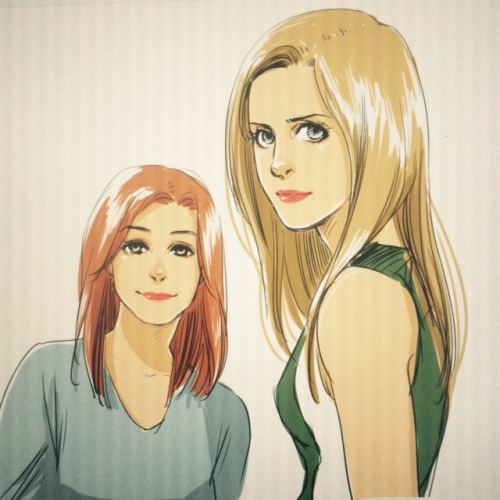 Hicks has blogged about how “Buffy is the reason I started making comics, and probably the reason I have this amazing career as a cartoonist, fifteen years later,” so she sounds understandably thrilled to be working on this project. I know a lot of fans prefer the high school setting, and its more immediate metaphors with monsters as teen conflicts, to seeing Buffy grow up, so there should be quite an audience for this.